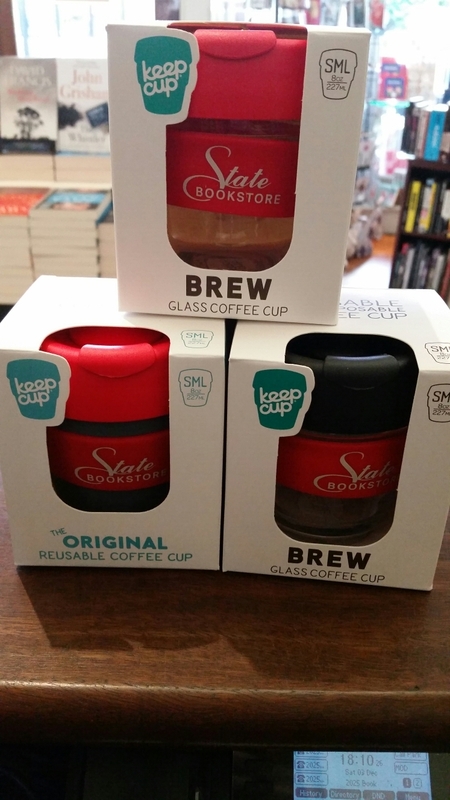 We've teamed up with the wonderful people over at Keep Cups and have designed a State Cinema Bookstore branded version of their iconic thermal mug! They're Australian owned and manufactured, the company was started by two environmentally-minded cafe owners in Melbourne who knew there had to be a better way than the disposable coffee cup. Their driving ethos to reduce the environmental footprint the world over, they are succeeding in their mission with a charming and highly functional design that is user friendly. Prices start at $14.99. Helping the environment? priceless.